St Patrick’s Day 2019 falls on a weekend which means a Bank Holiday again this year. 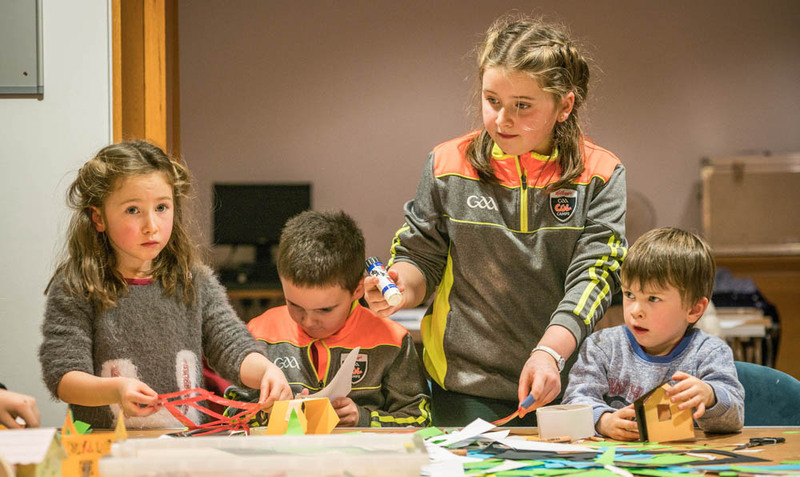 Are you looking for activities for the kids in your area this St Patrick’s weekend? Here are some of the events that will be running on St Patricks weekend 2019 around Ireland, in association with M&S Ireland. 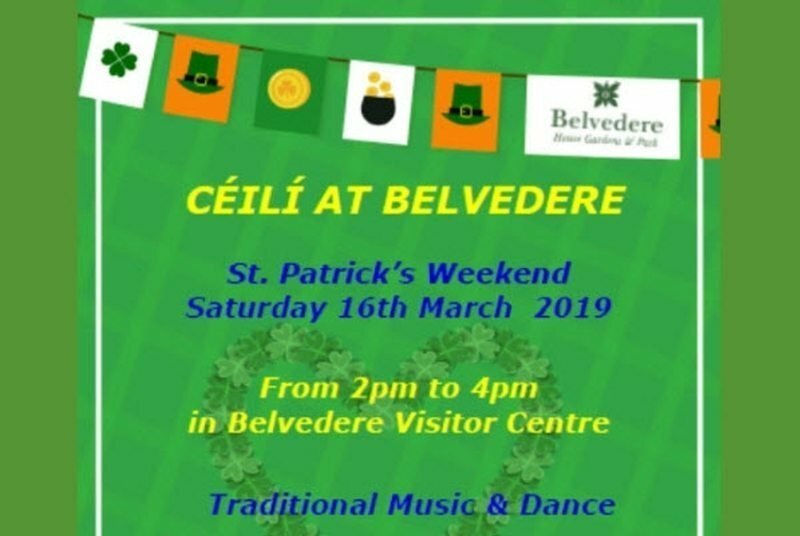 Enjoy traditional music and dance on Saturday 16th March from 2pm to 4pm at Belvedere House when they welcome; The Celtic Blondes, Emerald Lakes Academy, Mullingar Harp School and other local musicians to the visitor centre from 2pm to 4pm for a Céilí at Belvedere. Half Price Admission. Traditional Cuisine available from CaToCa Fine Foods and Giftware. M&S Ireland have a large selection of green clothing, shoes and of course treats to help celebrate St Patrick’s Day. Order online or go in-store to find your essentials for this March 17th. 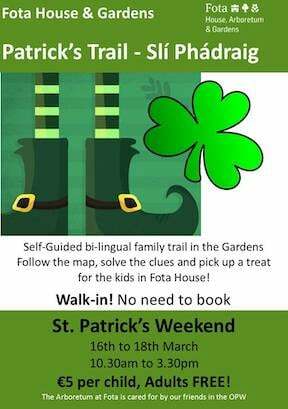 Saturday 16th to Monday 18th March, 10.30am to 3.30pm – If you are in the Cork area this St. Patrick’s weekend be sure to take a trip to Fota House & Gardens for a bilingual self-guided family St. Patrick’s Trail / Slí Phádraig. 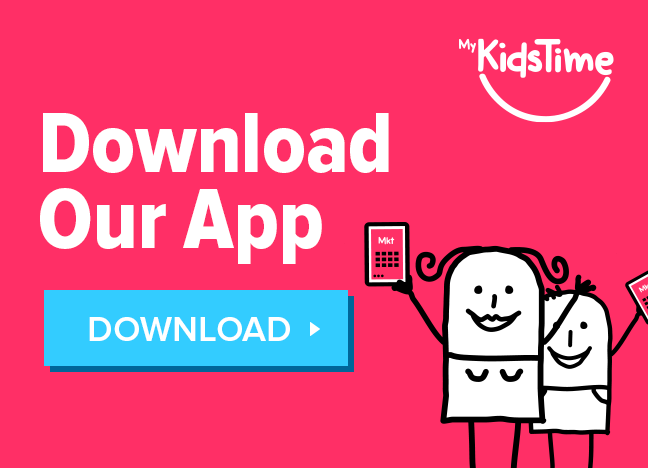 Pick up your map, solve the clues and come back to the house for your treat. 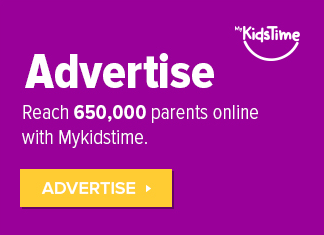 Fun for all the family! 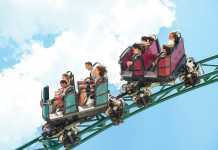 Adults go free and a child’s ticket is just €5 and includes a treat. 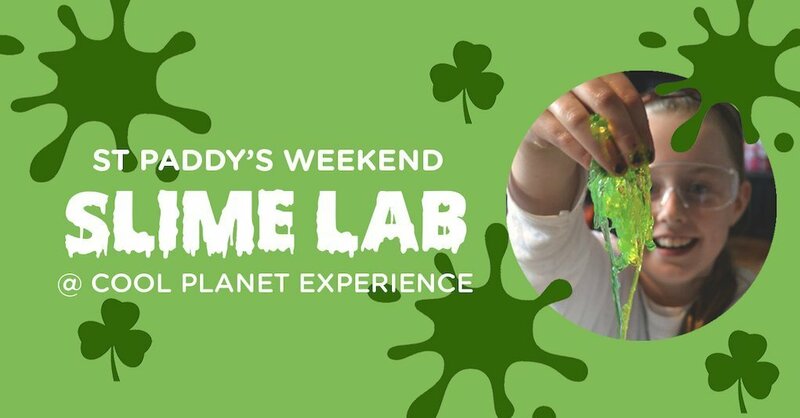 March 17th & 18th 2019 at 11am, 1pm & 3pm – Whatever the weather this St Paddy’s weekend – the kids will love the Cool Planet Experience’s GREEN Slime Labs. They will pop, play & stretch green slime to discover how to use these types of materials to save the planet (think edible water bottles)! The workshop is designed to make learning about climate action & sustainability interactive & really fun. Workshops should be booked in advance. 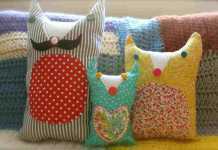 Each workshop lasts 90 minutes and are suitable for ages 6 to 14 years. 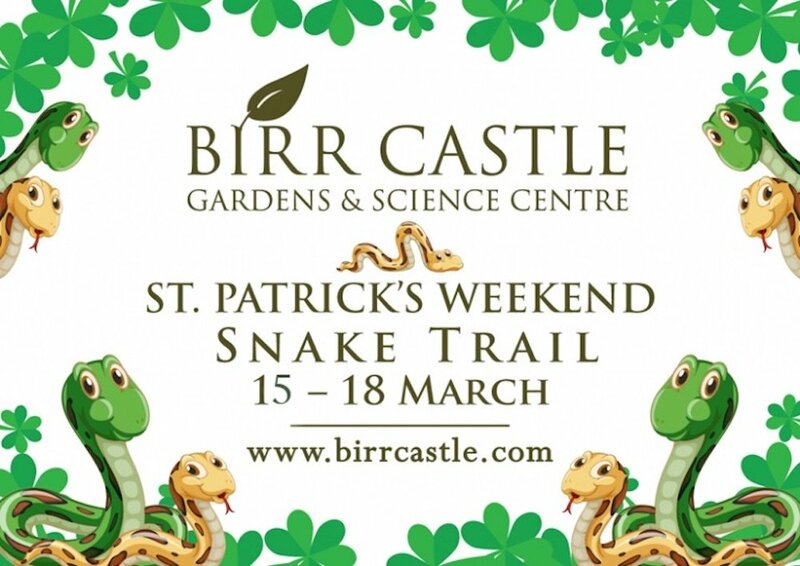 Follow a trail of slithering snakes through the gardens, treehouse & playground at Birr Castle & Gardens 16th – 18th March 2019. Can you find the snakes that St. Patrick left behind? Find them all and discover their secret message to claim your sweet treat. The trail is included in the price of your admission ticket and will be on a first come first served basis. There will also be complimentary face painting on March 16th, 17th & 18th between 12pm and 5pm. We invite you to bring your family to join us for our Annual St Patrick’s Day Snake Hunt, and finish the job Paddy started! The snake hunt takes place on Saturday 16th and Monday 18th March, between 10am-4pm. This is a free event, although normal farm entry still applies. 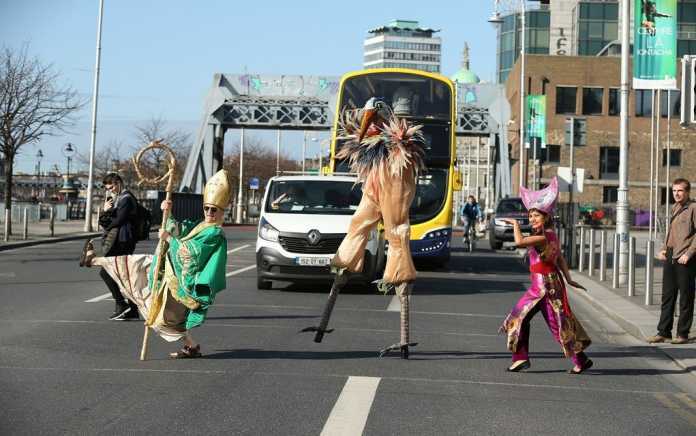 The annual Parade begins on Parnell Square at 11.55 a.m. on Sunday 17th, the finest of Irish street theatre companies bring their spectacular creations, pageantry and performance to the streets of Dublin. 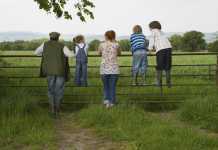 Music Circle at National Museum of Ireland Country Life on Saturday 19th January 2pm – 4pm. Glac páirt linn i Seachtain na Gaeilge, ar an turas dátheangach don taispeántas Dearbhú na Poblachta: Éirí Amach 1916, le treoiraithe an Mhusaem, staraithe Déaglán Ó Brádaigh agus Caitlin White. Ní gá aon áirithintí, déanfaimid leithroinnt d’áiteanna cúig nóiméad déag sula dtosaíonn an turas. Take part in Seachtain na Gaeilge, by joining Museum guides Declan Brady and Caitlin White on a bilingual tour of Proclaiming a Republic: The 1916 Rising exhibition. No booking required, places allocated 15 minutes before tour starts. Treasures of the Museum Tour in the National Museum of Ireland – Archaeology on Sunday 18th March at 2:15pm and 3:30pm to see some of the iconic treasures in the National Museum, including the ‘Tara’ Brooch and the Ardagh Chalice. No booking required. Places allocated on a first come basis. Wheelchair accessible. Ages 7+. 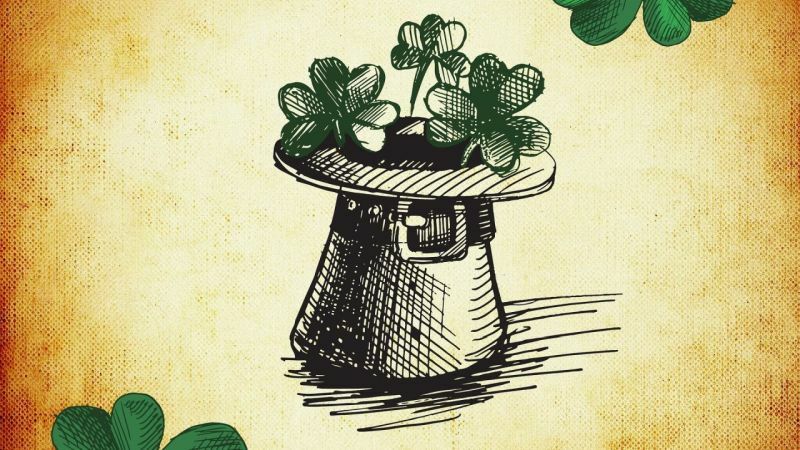 Or drop in and get your Hands on History at The Museum of Decorative Art & History in Collins Barracks, on Sunday 18th March 3-4pm where you can explore and learn about some of the hidden meanings behind the symbols of Ireland. a chance to explore some of the artefacts from the Museum’s collection of objects for handling with Museum educators – a fascinating drop-in handling session for all ages. DabbledooMusic Workshops Sunday 17th March 12.30 & 1.30pm €6, Suitable for Ages 6- 12 Duration: 30 – 40 mins Instruments Supplied. DabbledooMusic is an exciting new way to make music using shapes, colours and animation. With our colour-coded system and musical characters, we will have everybody singing and playing along. Everyone gets an instrument and everyone joins in. An Grianán Theatre Productions present Manny Man does the History of Ireland by John D Ruddy, directed by Rachael Devir. Sunday 17th March 12.30pm. €10 Adult/€8 Child, €30 Family 4. Suitable for ages 8+ Duration: 70 mins. 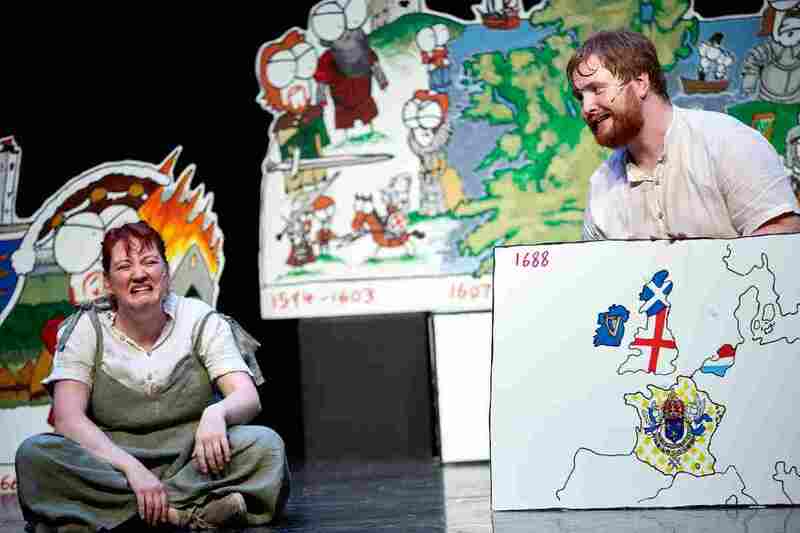 Based on John D Ruddy’s hit series of books and YouTube videos, Manny Man’s History of Ireland romps through thousands of years of Irish history, from the Big Bang to the present day, with the help of illustrated cut-outs and comedy. Smart and entertaining, Manny Man Does the History of Ireland is sure to please all ages – the perfect show for St. Patrick’s Day. 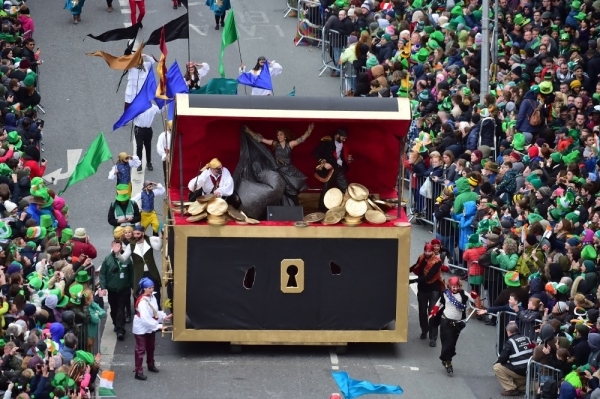 This year’s Cork St Patrick’s Festival will happen in the heart of Cork City 15th – 18th March 2019. This year’s Cork St. Patrick’s Day Parade will take place on Sunday March 17th 2018 at 1pm. It features up to 3,000 members of communities from all walks of life across the city – sporting groups to dance schools, new communities to our long-established brass bands, and annual special guests from around the world. 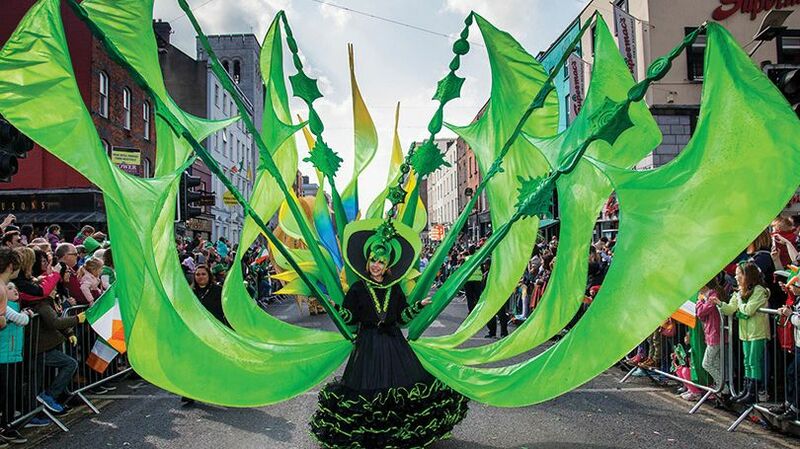 Limerick St Patrick’s Festival 2018 takes place from Friday 15th – Monday 18th March 2019 with a series of events, including the Limerick St. Patrick’s Day Parade on Sunday 17th March. This year’s theme is One Giant Leap. 2019 is the 50th Anniversary of Neil Armstrong’s Moon Landing. It is also the 5th Anniversary of when the hearts and minds of the people of Limerick were captured by Granny as we walked in her footsteps on a journey through Limerick created by the world famous Royal de Luxe. On St Patrick’s Day, March 17th, you can visit King John’s Castle in Limerick for FREE from 2pm to 3pm. 2019 is the 117th anniversary of the Galway St. Patrick’s Day Parade and you can expect the usual spectacle of all things Irish with this Year’s Guest of Honour being Galway native and extreme adventurer Gavan Hennigan. The iconic fountain in Eyre Square will even turn green as part of the St Patrick’s Day celebrations. The Parade will start at 11.30am and finish at approximately 1.00pm, following the traditional route from Father Griffin Rd, along Dominick St, Shop Street and up to Eyre Square. The annual Sligo St Patrick’s Day Parade will take place on Sunday 17th March from 12pm taking off from Mail Coach Road and finishing at Our Lady’s of Mercy primary school. There will be plenty of floats, groups, music and free family friendly events. Including, a world record attempt to have the most people dressed as Leprechauns in one place! The annual Tullamore St. Patrick’s Day Parade will take place Sunday 17th March at 11:30am. The Future is the theme is this year’s parade in Tullamore. Clane St Patricks Day 2018 Parade will take place on Sunday 17 March 2019 with the theme of “Bringing community together”. In Letterkenny there will be a traditional parade with bands, carnivals, floats etc. A lovely family day out that will have something for everyone. This year’s parade is taking place on Sunday 17th March starting at 3pm. The theme is “Celebrating Letterkenny Together”. 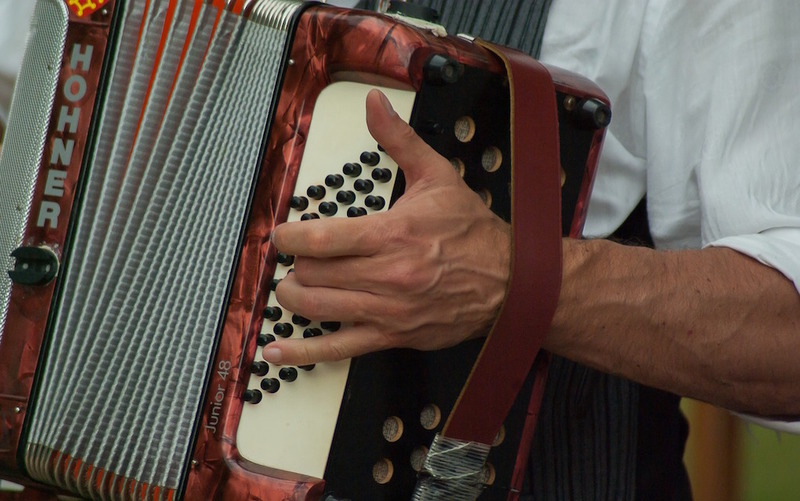 Traditional song, music and dance will abound on the streets and venues in Kilkenny this St Patrick’s Day Weekend for Kilkenny Tradfest from March 15th to 18th 2019. The Theme for the St Patrick’s Day Parade in Kilkenny City is Bring Back The Bees and all the floats will incorporate Bees into their themes. There will be a host of free events after the parade at Kilkenny Castle on March 17th. Check out the full St Patrick’s Day essentials at M&S Ireland. 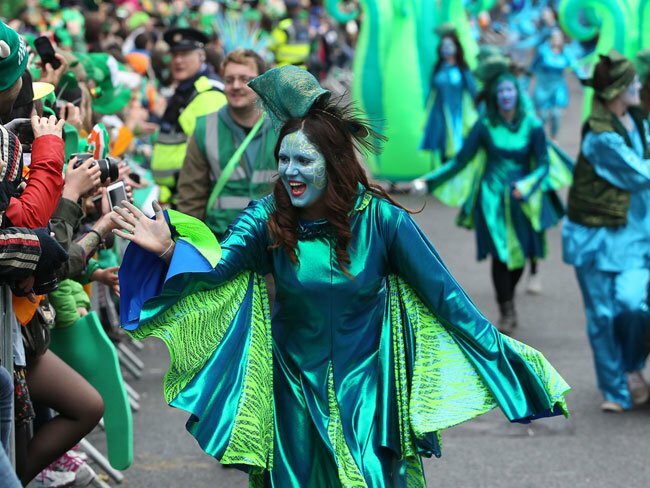 Are you planning to go to any of these St Patrick’s Day Weekend events or do you have times for other St Patrick’s Day parades around the country? Let us know your thoughts in the comments below.